Nowadays it’s important to have a professional, aesthetically clean, and pretty feed to catch the eye of your future customer or client. Who has time for that? We do! We help by using the images you already have, or create everything from scratch. 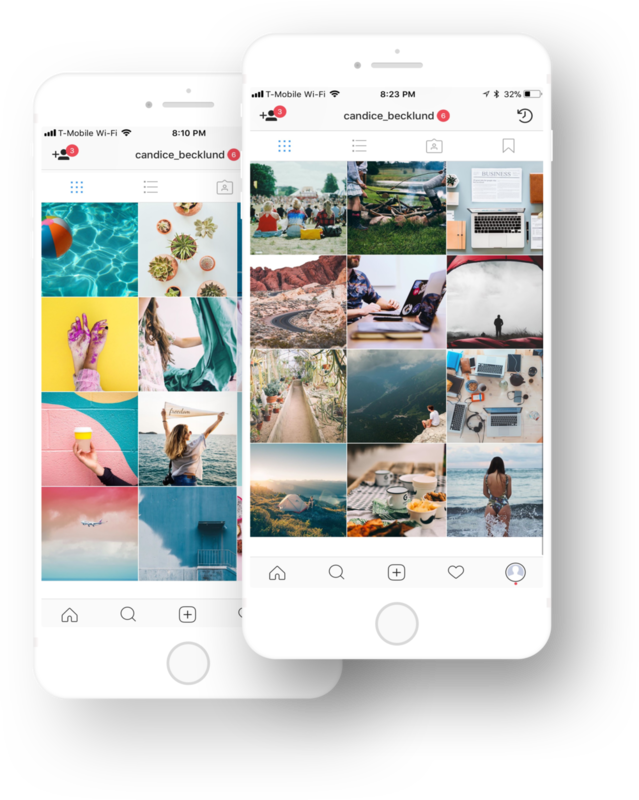 We create captions, custom hashtags and schedule your Instagram posts. We can create your weekly, bi-weekly, and monthly newsletters. The goal is to stay in the forefront of your client’s inbox and view. 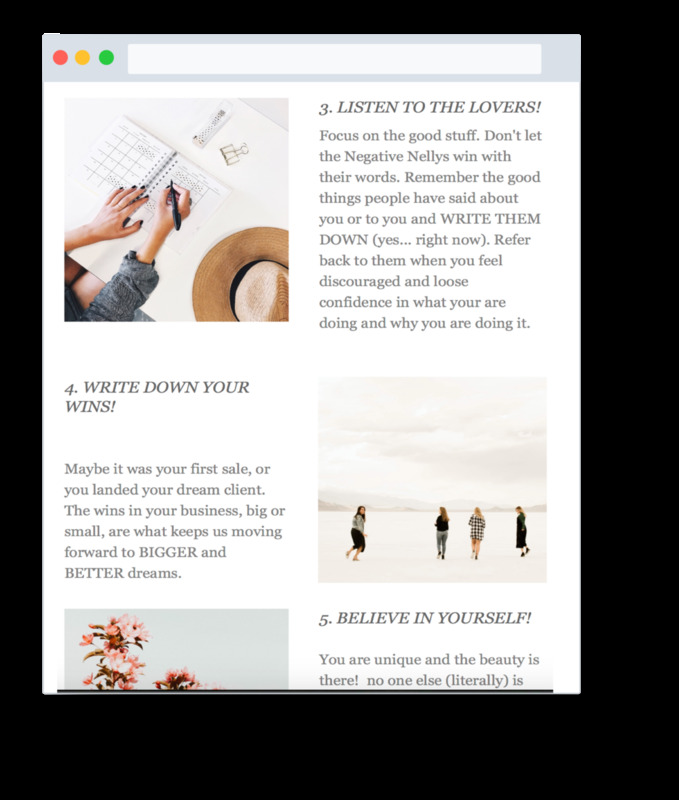 Staying consistent and providing value in your newsletters is key. We can help develop your newsletter marketing plan and then execute it. Your customers are social, so you should be too. We can help create your FB group/page/community and create engaging posts that keep them coming back for more. 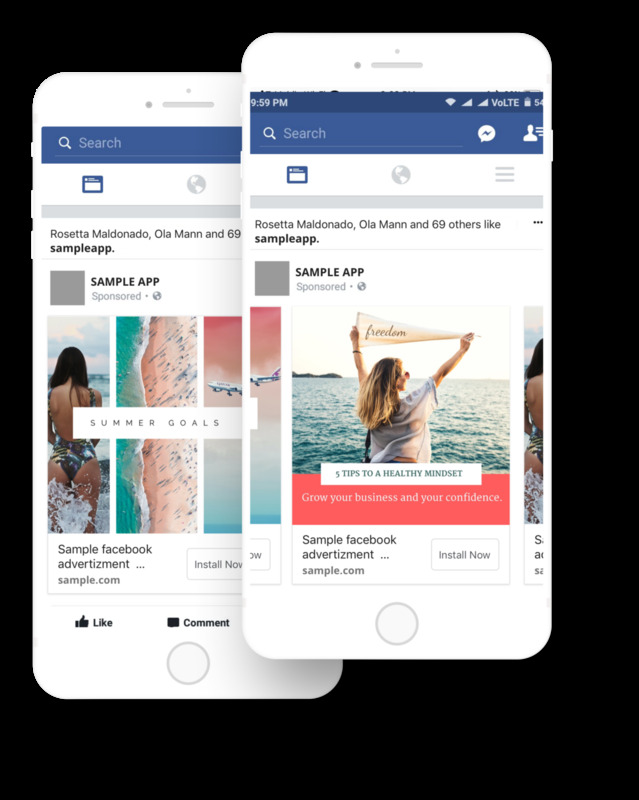 We create content and help with FB ads that all point back to your website or services. From a marketing perspective, Pinterest is not just a place to pin pretty images and recipes. It can be your #1 referral source. We create custom Pinterest graphics, use hashtags and keywords, and link back to your site to grow your newsletters or site traffic to reach a wider audience. We've got them for you. We create free bi-weekly social media tips just for you. Enter your email and we will send them over.